Send a Doodle Gram™ collage greeting card today! Create, draw and share, FREE SMS MMS texting of your Doodle Gram collage or post to Facebook®! Turn your Instagram® photos or any photos into the perfect greeting cards collage, orient the pictures any way you want not just in a square grid, complete freedom to make greeting cards for all occasions! Birthday cards templates and more provided. You can now import your Instagram® photos, just click the 3 dots under your photo from inside instagram and choose “share” and then select “Doodle Wish” from the list of apps and choose to import as sticker when asked. Draw something for instagram! Enjoy! Send your personalized birthday, anniversary or holiday doodle wish cards to your friends and loved ones! New Birthday Cards greetings template pictures and stamps stickers added. Easy paint and draw for all ages, from kids to adults. Have fun designing your own Greeting Cards with DoodleWish! 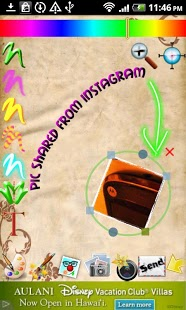 Then share by Email,Gmail,SMS text message, Facebook or upload to Instagram®. Also send FREE MMS over WiFi to do free texting from even Tablets without phone service or sim card. Simply use the included text fonts, stickers and backgrounds or load your own pictures from your phone’s photo gallery and mix and match until you have just the perfect design and colors you want! You can also Draw freely with your fingers using some of the drawing and painting effects! Easy and fun for all ages! When you’re done, just click on the Send button to send your DoodleWishes by email gmail or as SMS MMS text message or even post to facebook! 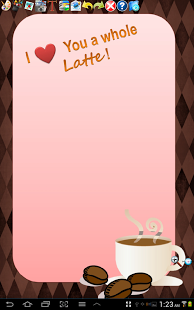 Easily text or email photos or your holiday doodles to your friends and family! Or use it to quickly send out your handwritten signature! You can even use it to send text messages for Free over wireless wifi or paint on top of your photos and send as mms, a multimedia sms text message, or with email/gmail! 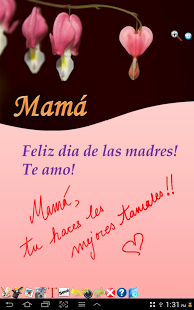 Send some mother’s day cards custom created by you, using included templates, more fun for everyone, now that’s a real hallmark! * All trademarks and copyrights referenced are the sole property of their respective owners. Android™ is a trademark of Google® Inc.
* This app and its creators are in no way related to, endorsed by, or affiliated with Instagram® Inc.
7-17-2013 Important bug fixes with new google-sdk, please update, thanks! 5-17-2013 New Import Images from SMS/MMS feature on phones, fixes for some devices etc..
6-30-2012 NEW FEATURE! Click Camera Icon, Load From Gallery!